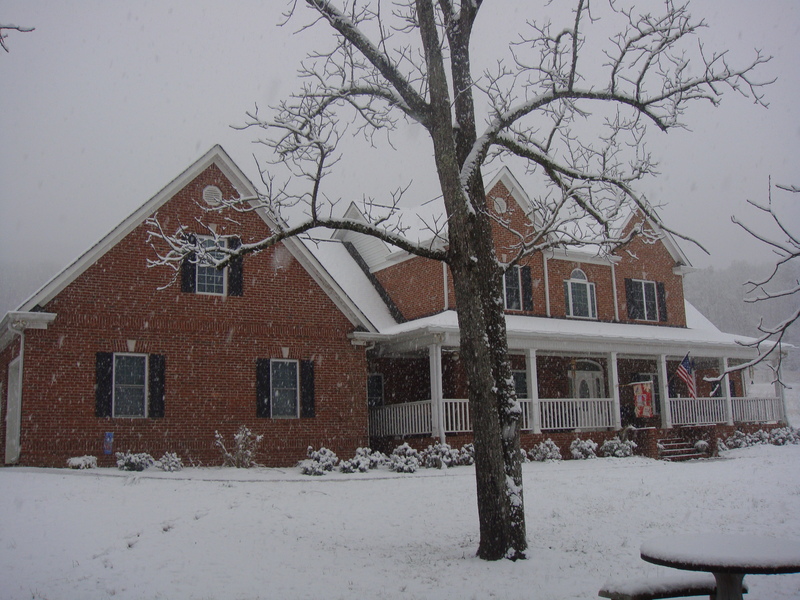 Here is our house on Christmas Day 2010. 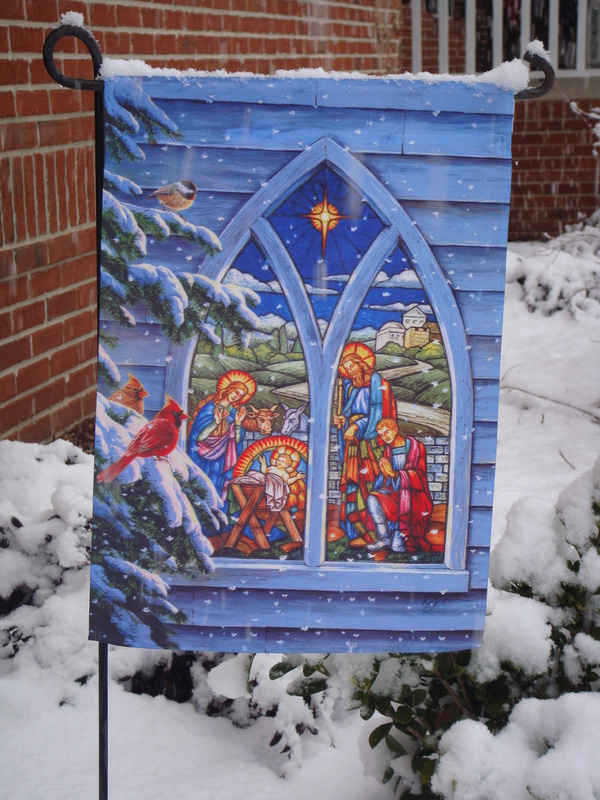 I hope and pray all of you have a blessed Christmas 2011 this year no matter where you are. 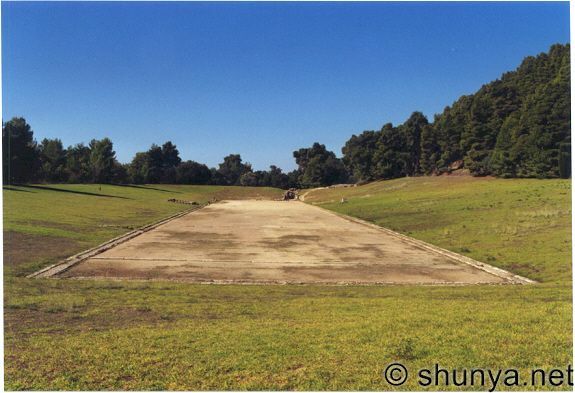 Well, we were supposed to see and experience Olympia on October 13, 2011, the site of the original Olympic Games; however, the operators of the historical sites chose to go on strike. I decided to stay on the ship. 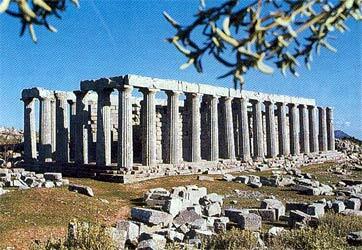 I am posting some “post card-type” pictures, but they are not mine. That morning I had a spiritual experience, and that is what I am sharing with you all now. Have a blessed weekend during this blessed season of Advent leading to Christmas. After a great night’s sleep on Wednesday, I arose to a new day around 6:45 am. I got my coffee and water, and jogged for 20 minutes aboard the Star Princess. When I finished, I enjoyed a good breakfast that I carried to just about the highest point where passengers are allowed. The full moon was setting on the west side of the ship, the sun was rising above the mountains east of Katakolon, Greece (our port of call), and I was in between enjoying my meal. I had been waiting and waiting for the sun to rise the whole time I jogged. On the same platform stood 4 Asians who I am pretty sure were Japanese. One of the men had a camera, and I was quite sure he was waiting for the sun to peek over the mountains so he could get a good photograph. I had already said several morning prayers as I jogged, and I had asked God to bless my breakfast before I ate, but I had yet to bow my head in prayer or kneel in prayer as I often do. I looked at the Asian gentleman, and he was, indeed, snapping a few pictures of the peeking sun. The two women seemed a bit giddy, and one was waving her hands in an upward direction “encouraging” the sun to rise. I was amused. When the entire sun was above the mountain top, the other Asian woman placed her hands in a prayer position, faced the rising sun and made a grateful shoulder-bow while the other Asian woman did the same in front of her. The only time I have knelt publicly in prayer has been for communion at St. Martin’s. When I saw the women bow towards the sun, the Holy Spirit moved in me, and my heart started beating faster. I knew what the Spirit was encouraging me to do: I was to kneel in prayer and thank my Heavenly Father through Jesus Christ (God’s Son) for the new day in view of those people. I have always been a firm believer in “going to your closet” to pray, and I have. Prayer is VERY PERSONAL and should not be for show. I placed my plate on the bench, went down on bended knee, placed my hands in the prayer position, and thanked God for the day. I was immediately ENERGIZED in the Spirit. I gathered my things and I did not look back to see if the Asians had watched. However, if they did, I wanted them to know that I was a Son worshipper, and not a worshipper of our nearest star, the sun. 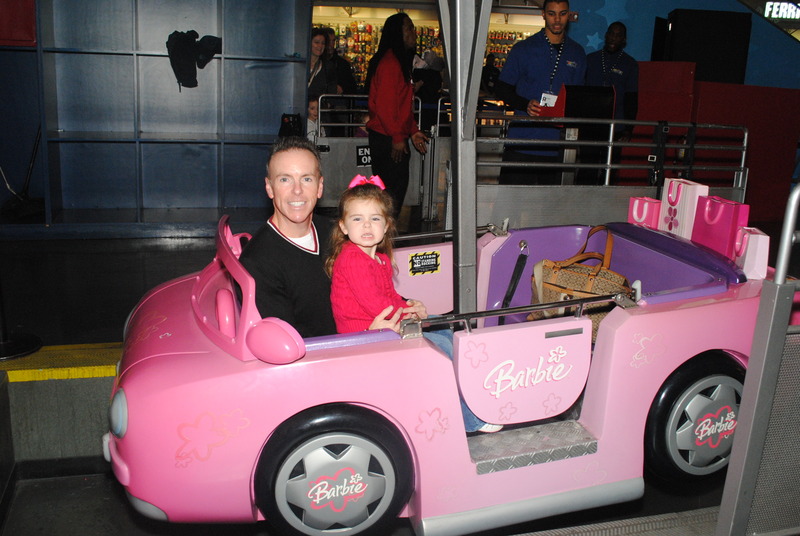 We had a great and safe time in New York City. 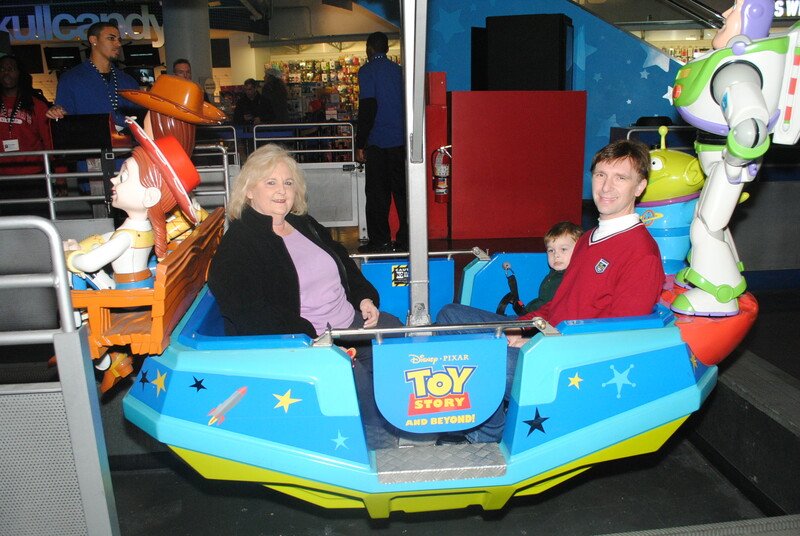 We finished up with our 2nd Annual trip to Toys R Us for a ride on the Ferris Wheel with our picture taken. If I can, I will try to make a copy of last year’s photos to you all can compare 2010 with 2011. Sean and I had seen “Priscilla Queen of the Desert” last May, and we knew then it would keep Ammon and Carter’s attention. It did not let us down. All 5 of us went to see it Sunday evening, and the children did, indeed, enjoy it. 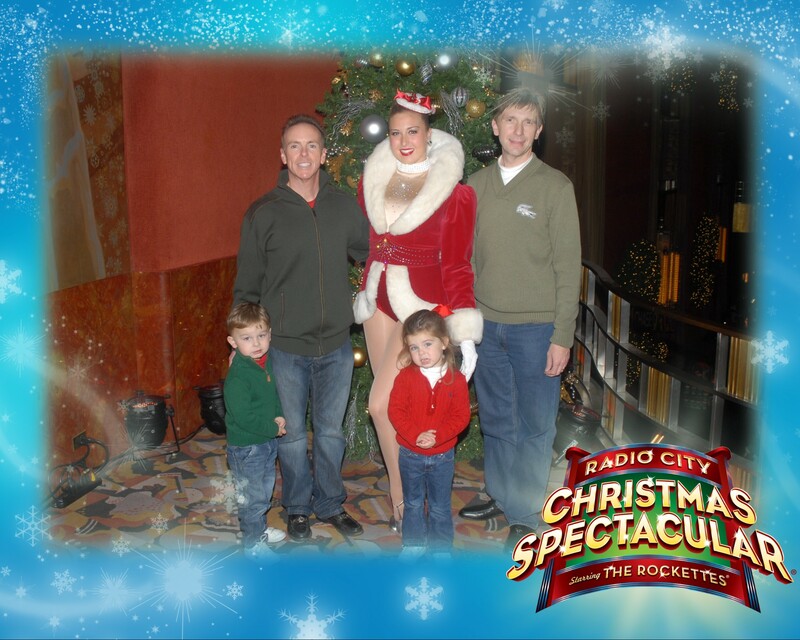 Friday Morning was spent watching the Christmas Spectacular with the Rockettes! As usual, the ladies did an EXCELLENT performance. I am still amazed at the Christmas Story: the birth of Jesus Christ where they present the live Nativity. 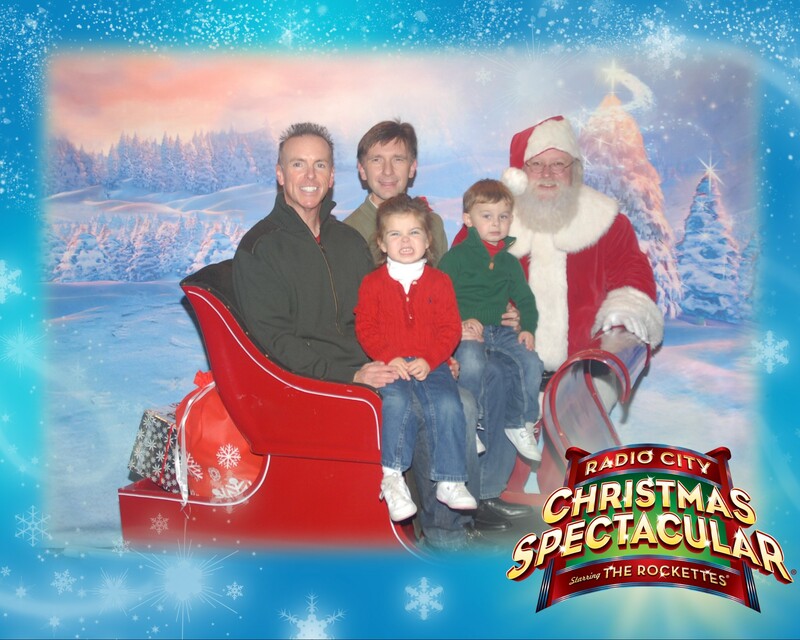 We got to have our pictures made with both Santa Claus and a Rockette at Radio City Music Hall. Ammon and Carter were great spectators!